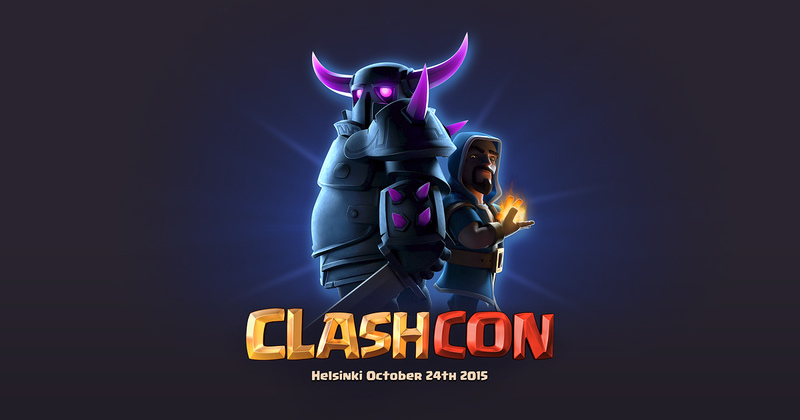 ‘ClashCon 2015’ Starts Tomorrow, And You Can Watch the Live Stream Here! Clash of Clans (Free) fans, the big event you’ve been waiting for is finally here. The first ever Con for Supercell’s huge hit starts tomorrow in Helsinki, and fans are anxiously awaiting to see what the developers have in store for the millions of fans. What most fans are excited about is the rumored update that will supposedly be announced during the ClashCon festivities. This update has been talked about for months now, but no one really knows what will it even be about. Some fans actually expected a huge update to drop earlier this year, but all they’ve been getting has been smaller (but still significant) updates to the game, including a Halloween update just the other day. It’s seriously really hard to pin down what this update will include because the rumor mill has been on overdrive for months now. Some claim that the update will be the biggest ever to hit the game, but even if that’s true, no one can be sure that players will be happy if the game changes significantly. Keep in mind that it’s always hard for developers to balance making veteran and new players happy with one single update. So, I guess we’ll see this weekend. ClashCon will offer much more than just possible update announcements, though. There will be live Clan Wars tournaments involving top Clashers, a panel discussion on the finer points of army composition, attack strategy workshops that teach you the fine art of attacking, plenty of 5-on-5 Clan Wars, a single player challenge that has you fighting against the Goblin horde, a workshop on building your base, and much more. If you are a fan of the game, you should definitely be watching the event. I really like when a game builds such a strong community, and Clash of Clans is definitely one of the most robust communities out there. You can follow the event through this live blog and even watch a live stream of ClashCon right here. If you aren’t sure what timezone Helsinki is in, you can use this link to find out.